Filled with beauty, imagination, and depth, these five novels encompass the art of storytelling. 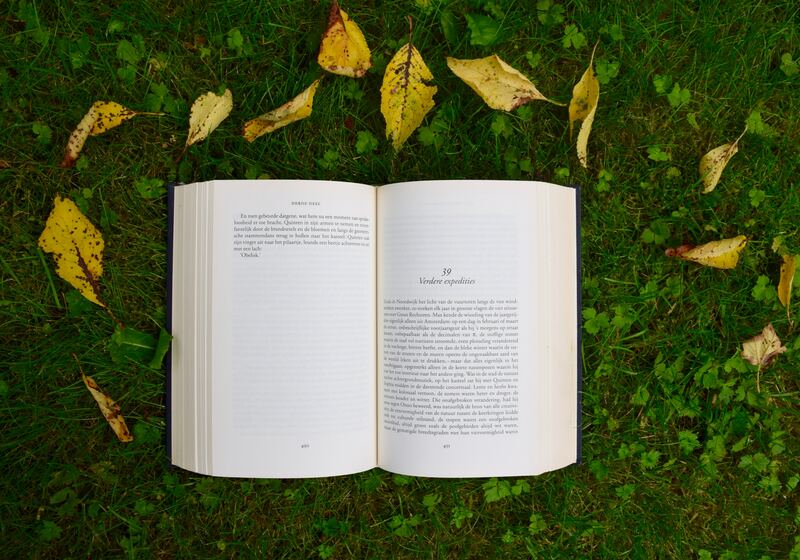 Summertime is one of the best times of year for reading. For many of us, summer is void of textbooks, essays, and exams. It is a blissful three months where a person can read without the nagging feeling there is a research paper they are forgetting to do. If you are stuck on what to read, here are my top five read for the summer. The classic dystopian novel is an excellent choice for the summer. It’s a short read, only about 200 pages, however, it is filled with beautiful language and thought-provoking content. What if there was a world that was dominated by media and virtual reality, and literature and philosophy were not only unpopular but actually illegal? Where firefighters start fires rather than prevent them, and appreciating nature and having original thoughts makes you an outlaw. Despite being written in the 1950’s, this novel feels more of a commentary of our day and age than many would like to admit. This book is a pleasure to read and would make a great addition to your to-read list. Whenever I read this book, I feel as though I am visiting an old friend. Montgomery has a way of describing vivid scenes that spark the imagination and create characters who feel like real people. This book is about a little red-headed orphan named Anne who has a vivid imagination and a bit of a temper. Circumstance has it that she is accidentally adopted by a brother and sister. This novel showcases her difficulties and triumphs, her friendships and imaginings. This book is a great escape to Anne’s life in Avonlea and warms the heart tremendously. I believe every summer should have one challenging read. If you are looking for your summer challenge, this is a great option. At 1500 pages, this book is a beast, but the plot and themes capture your attention and prompt you to turn the pages until eventually page 1499 comes and you find you desire more. This book is set in the early 1800s and is centered around Edmond Dantes, a stand-up, respectable man who is climbing his way up in the world. He is wrongfully imprisoned for treason due to some men acting from selfish reasons, and later on, decides to enact revenge on those who wronged him. This is a great adventure novel about revenge, justice, and forgiveness, and perfect if you want to challenge yourself with a longer classic read. A bit of contemporary literature is needed on every summer reading list. Jane Williams is a PR agent in NYC that has everything going for her, a great job, a dream apartment, a perfect boyfriend. Then in a span of a day, all of that is gone, and Jane has learned what it means to stand in faith, as well as see what really matters to her. This novel is a modern retelling of the story of Job and shows us how easy this biblical story can relate to each one of us. With themes of faith, material goods, control, and so many biblical themes that we each struggle with, this book makes you think about your own life while still enjoying its diverse cast of characters and their quirks. While this book was written for children, I feel it is one that becomes better and richer with age. The story is part of the Narnia series, but slightly removed from the traditional cast of characters, and can be read even if you never enjoyed the others in the series. It is about a young boy Shasta, who is living in Calormen when he discovers he is not quite who he thought he was. With the help of his new friend, the talking horse Bree, he decides to make for Narnia, and all the wonders he’s heard. He meets some friends along the way, Aravis, a lady escaping an engagement to a cruel man, and her talking horse Hwin, and together they have the adventure of a lifetime, learning more about themselves and the world. This book not only has an enjoyable and thrilling plot but also has incredible symbolism and allegorical messages hidden within. It is a great option for your summer reading list, and may not be one you’ve read before. I hope you find one or all of these books tickling your interest. Enjoy your summer, and may it be full of literature.